In a predictable move to bring the new Pascal graphics architecture to a wider public audience, Nvidia is today releasing the GeForce GTX 1060 GPU. Following on from the GeForce GTX 1080 and GTX 1070 GPUs launched in the last two months and slowly becoming available in greater quantity, GTX 1060 brings the entry point down to $249 for add-in card (AIC) models and $299 (£279) for the Nvidia Founders Edition, with both available from today. Nvidia, it can be argued, has played somewhat fast and loose with defining the performance spectrum of these Pascal-based cards, routinely using probable VR performance as its benchmark for inter-generation comparisons. This time around, GTX 1060 is mooted to be faster than last-generation GTX 980. Quite a claim, so we've compiled the usual table below. A peek at the high-level specifications suggests that GTX 1060 will have a hard time besting the extant GTX 980, but we do know that a number of improvements combine to give Pascal better performance than pure numbers alone would suggest. Of particular note is an improved memory-compression technology, hardware for assisting in virtual reality, and better asynchronous processing. You can learn more about the overarching Pascal architecture here. 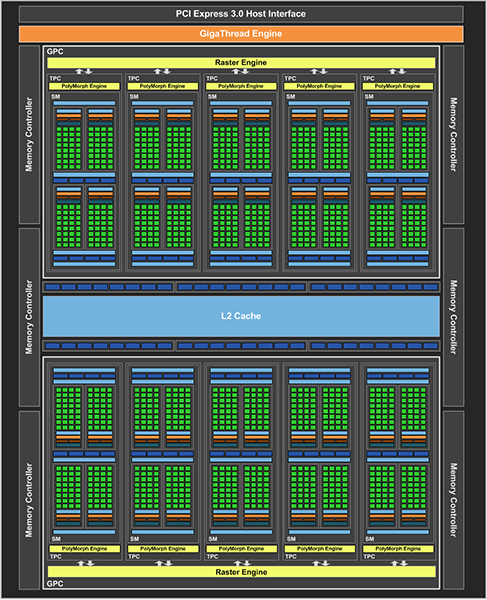 GeForce GTX 1080, the current head honcho, comprises four GPCs of 640 shaders each. GTX 1060 cleaves this into two, harnessing 1,280 shaders. There's an attendant 50 per cent drop in texturing units, as well. GeForce GTX 1060 is the full implementation of this mainstream Pascal die designated as GP106. Yet Nvidia is aware that reducing the back end by a commensurate half, to 128-bit memory bus and 32 ROPs, is likely to stifle performance to a large degree. This is why the GTX 1060 is bottom-loaded, with a wider, 192-bit bus, 48 ROPs and 6GB of GDDR5 memory running at 8Gbps. Adding in the extra silicon hardware, as well as 1.5MB of L2 cache, means the GP106 die is 200mm², or 64 per cent the size of GP104 (GTX 1070/1080). 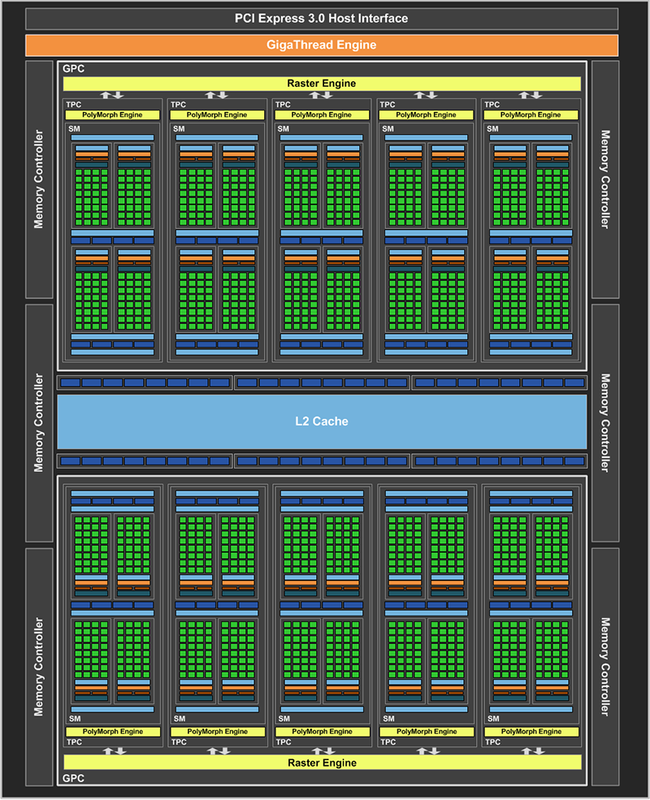 It does seem a mite strange to debut a card with a 192-bit bus, especially as existing cards have made good use of a 256-bit bus, so, without poring over the actual die and conjecturing a lot, there may be opportunity in the future for a 'GTX 1065' with the enhanced back-end and 8GB of memory. The 200mm² die, which is larger than we'd expected, kind of intimates Nvidia may be holding something back? The Pascal architecture excels in energy efficiency, so Nvidia is able to use the same kind of total board power as the competition yet produce performance that is in a different league. GTX 1060 ships with a single six-pin connector and, according to the company, is able to sustain maximum performance at 120W. There's good reason to have the GTX 1060 GPU built exactly this way. Nvidia wants to ensure it beats the Radeon RX 480 which has been very recently introduced by rival AMD. The green team has taken a look at what AMD has been able to achieve with RX 480, probably breathed a collective sigh of relief when benchmarks numbers showed it to be staid more than spectacular in terms of performance against older GeForces, and then, not pushed on frequency, decided GTX 1060 should come out straight afterwards. The two GPUs are reasonably similar in size, too, so it'll be a fairly even fight for your money. What's conspicuous by its absence is a lack of SLI support, lending credence to the notion that it is an outgoing technology in the mainstream market place. And mainstream is very much the order of the day; Nvidia wants to safeguard the hard-fought market-share advantage it has been enjoying with the GTX 970, GTX 960 and GTX 750 Ti GPUs. The reference card, or Founders Edition, is going to be sold direct from Nvidia and therefore shan't be given to add-in board partners this time around, leaving them free to concoct their own mainstream designs. Such a move is a tacit understanding that Nvidia wants more control over its GeForce products in the marketplace.